Her Majesty’s Passport Office offers a same day passport renewal service called the “Premium Service” this allows you to receive the passport within 4hrs of your appointment at one of the 7 Passport Offices nationwide. You will need to attend the passport appointment in person or have an Authorized Person attend the booking on your behalf, this is the only way to receive an emergency passport same day or within 7 days. As of 1st February 2014 those under the age of 16yrs of age can no longer use the 1 Day Premium Service, only those who are 16yrs or over and have held a British passport in the past can utilize the Premium Service. 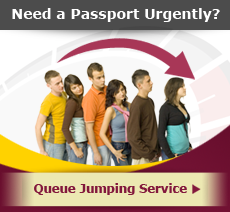 The Passport Office gov.uk website advises British Citizens that they should expect to wait up to 3 weeks for an appointment for the Premium Service which allows a Same Day Passport Renewal. 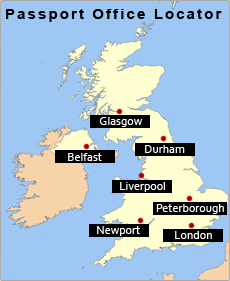 This time scale can vary and is subject to availability at the Durham, Newport, Liverpool, Glasgow, Peterborough, London & Belfast offices. Only Her Majesty’s Passport Office has access to all 7 offices calendars for Premium and Fast Track appointments. British Passport Services as an independent organisation that assists consumers with many Passport & Travel related enquiries we have access to a number of bookings at the seven Passport Offices that are a day or two away from a client who sent their documents to us for us to attend their appointment. While we have no preferential access to appointments and it is not guaranteed we can usually re-arrange of one our clients Passport Office’s appointments who does not require a passport urgently and secure you a Same Day or Next Day Appointment for free as part of a package. Any fee’s you pay us are completely separate to the passport fee due to the Passport Office. The Premium Service is not available to all British consumers, if you have recently lost or had your passport stolen you may not be able to use this service. 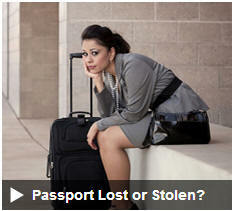 If this has recently happened to you then the first thing you need to do is complete an Lost & Stolen Declaration form before you can secure a replacement passport. You also need to report any theft to the police and secure a crime reference number. This is the most expensive service that Her Majesties Passport Office provides and comes with a premium of nearly twice the price of a passport secured via the Standard Application it does however allow you to receive a replacement passport within 1 day where where as the standard service can take up 6 weeks. Can’t Attend the Appointment in Person?